Even crafters, however fabulous we may be, need beauty sleep! 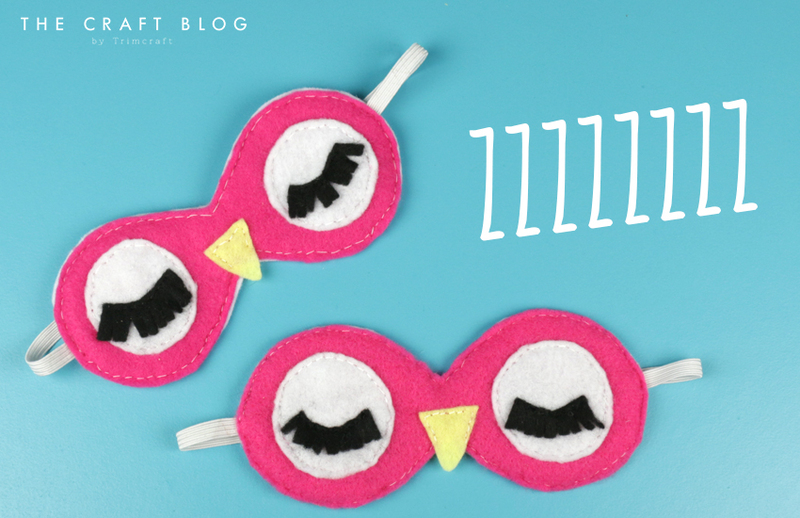 To ensure you get the rest you deserve after a busy day of crafting, Maxine is going to show you how to create this cute owl eye mask with our free template. 1. Print and cut out the template. Cut around the shapes onto your chosen pieces of Dovecraft Coloured Felt. Cut the main eye mask twice, once onto white felt and once on to your chosen colour. 2.Cut the rectangles onto black felt, follow the template and snip along to the edges to make the eye lashes. 3. Curve the eyelashes and sew onto your white circles using back stitch to create the eyes. 4. Sew the white circles onto the eye mask shape. 5. Sew the yellow beak onto the pink mask, in the middle along the bottom. 6. Cut a piece of elastic big enough to fit around your head, allowing enough elastic for sewing onto the mask. When you’re happy, stitch the elastic onto the white eye mask shape you cut out previously. 7. Place the pink eye mask shape on top of the white eye mask shape, ensuring the sewn elastic is in between the two layers. 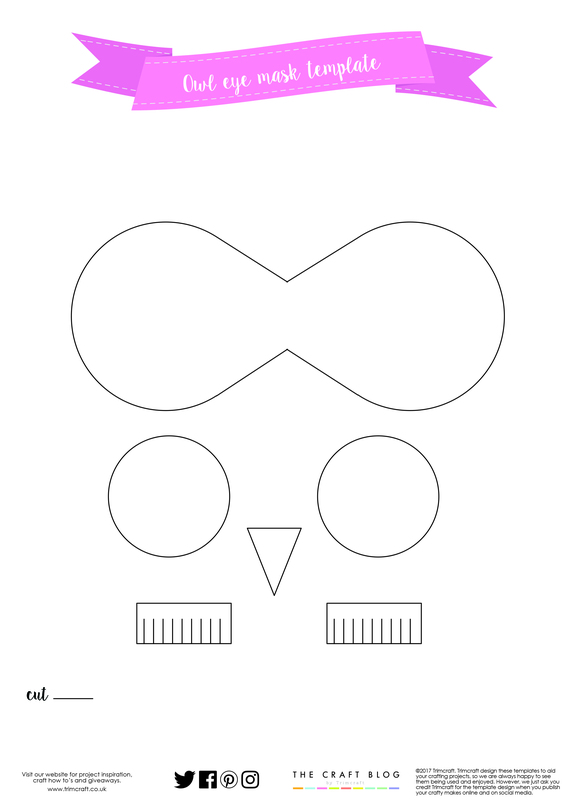 Stitch around the mask to secure the two pieces together. Now it’s time to slip your mask on and have a good nap! ...and wake up feeling wonderfully refreshed! How cool is this owl design? You could create different animal faces for your friends. This handmade treat would make a wonderful addition to a beauty themed gift. How will you use our free template? We’d love to see so don’t forget to #trimcraft when uploading to social media and to share your crafts in the Inspiration area on the blog.